Ashtanga Yoga according to Shri K. Pattabhi Jois, the “mother” of all dynamic yoga styles, has the reputation to be almost exclusively asana-focused and very rigorous. Its teachers are semi-gods that will stop their students from practising if they don´t like what they see. Only the best and the bravest can hope to make it at least through the first out of many series of asanas in ascending difficulty. Is this actually true? We have asked Manju Pattabhi Jois, the most experienced active practitioner and teacher of Ashtanga Yoga on the planet. Thomas: Shri Manju Pattabhi Jois, you are a yoga practitioner and teacher, born in India and now living in California with your family. You initiated your yoga studies with your father (Shri K. Pattabhi Jois) at the age of seven years, and you started assisting him in his shala in Mysore at the age of fifteen. You have about fifty years of practising and teaching Ashtanga Yoga, holding a certification from the Ashtanga Yoga Research Institute in Mysore. You were already teaching for decades before your style of yoga spread to the West. And you know the western mind and approach to life very well. You are truly an authority concerning this style of yoga, someone that can bring light into darkness. What is originally the purpose of this asana (posture) and pranayama (breath control) practice? Manju: Asana is to maintain health and a strong body. Pranayama is to keep your respiratory system in working order. Asana and pranayama are part of the eightfold path (ashtau anga). They are not just a physical exercise. They are a means to keep people in a healthy condition for the practice of dhyana (meditation). They support people in their physical, mental and spiritual development. Thomas: Are we Westerners perhaps misunderstanding this? Manju: Perhaps you haven´t found a good teacher. 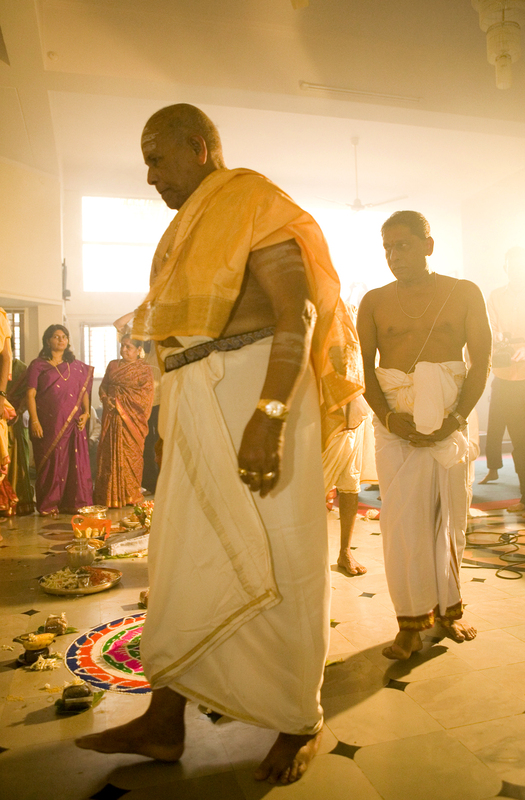 Thomas: Why was your father (Shri K. Pattabhi Jois) not teaching theory? Manju: My father knew all these old teachings. He used to teach theory but now there are so many students and they are usually only interested in learning asana, not in the philosophy. It became a fashion to go to Mysore and study with my father but people don´t ask for theory. So he focused on teaching asana. If you practise asana, you will change, physically and mentally. Thomas: Let us shed some more light on the relation of this practice with health aspects and the purpose of the yoga practice in general. I myself have been injured by a poorly trained and over-ambitious Ashtanga yoga teacher. I have seen many students with torn muscles, tendons or ligaments and I do know of students that needed medical treatment after their adjustments. What do you think of such teachers that try to adapt students to the ideal picture of the asana, if the body is ready or not? 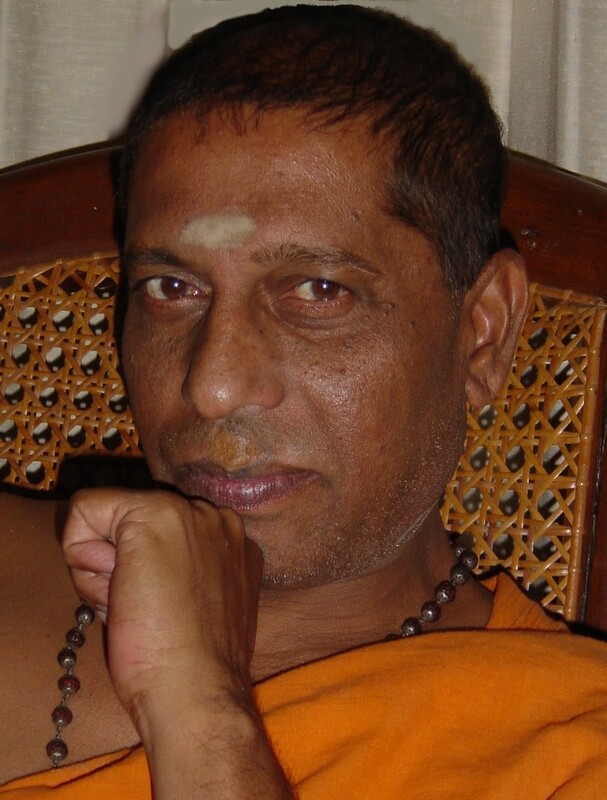 Manju: The practice should be adapted to the yogi(ni) – not the other way round. There are many unexperienced teachers out there. It is important to help people in the postures but when you are looking for a teacher, find out about his background. You have to be very careful. Thomas: Many people seem to believe that Ashtanga Yoga is about contortion and handstands and that the best teachers must be the ones that can put their feet onto their shoulders, like in a Chinese circus. What do you think of that? Manju: That is not true. Breath, bandhas and focus are the actual core elements of this practice. Being a contortionist isn´t what it takes to be a great teacher. You must have the right mind. Thomas: Many teachers here in Germany think that Ashtanga Yoga has to be very rigorous. If a student “fails” in one asana, these teachers will stop him, not letting him progress in the practice even if he can do all the asanas that follow in the series (perhaps he will never know). What do you think of that? Manju: A teacher that is stopping you is a bad teacher. The teacher has to encourage the students, give them another posture to try. There is always a workaround. A teacher must like to give. Knowledge has no ending. This is how I have learned as a boy and what I have taught afterwards. Thomas: How was it taught originally by your father at his yoga school in Mysore? Manju: My father was not that rigorous. A good teacher likes to give. My father had that quality. Thomas: When I was visiting your father´s school in Mysore in 2006, he did seem to have a rigorous approach. People got stopped when they were not proficient at what they were doing and would consume too much attention from the teachers. But this seemed an appropriate approach for a 90-year-old man with 65 students. He had to be efficient. Manju: It was not at all like this before. My father loved to teach. He loved to move people forward. But there are now too many students. It is hard to give attention to so many people. My father originally gave constant supervision but it all became too big. He had to introduce rules. For young teachers with only a handful of students a different approach is appropriate. Thomas: What do you think of teachers in the west that feel entitled to stop practitioners, that just do not share information or do not give modifications to students? Manju: This is not appropriate. If you stop people you destroy their spirit. You deprive them of the possibility to develop. This is absolutely bad. These teachers do not understand what this practice is about. Do not ever stop the students but encourage them. Then people will love you. Thomas: Do such teachers put their ego above the progress of their students? Manju: Yes, it is their ego. They try to control the students. And that is also why we now have so many yoga styles because the students love the yoga but do not want to be controlled in such a way. Thomas: Should we teachers try to share as much of our knowledge as we can and should we give students modifications so they can progress in their development? Manju: We should give modifications. That is what a good teacher can give to his students, modifications. Thomas: In old pictures of yoga schools in India, the students are boys or young men. 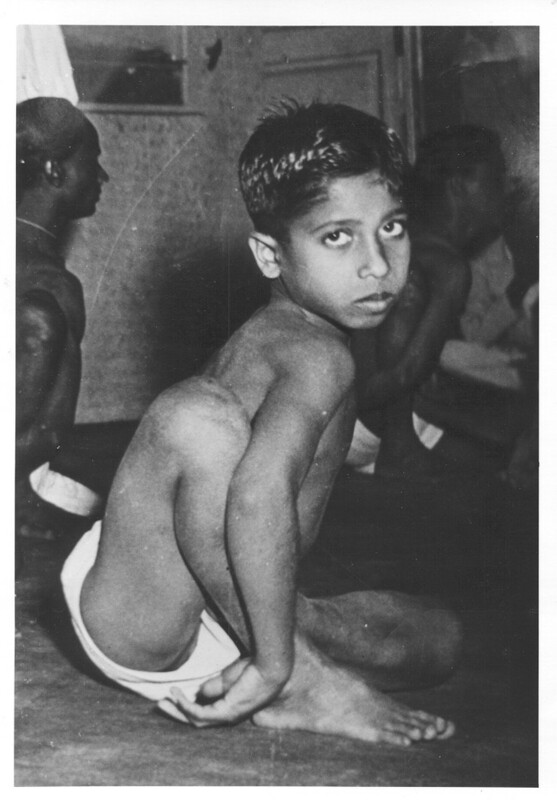 The Ashtanga asana practice does seem to be adequate for strong young persons. But if we understand the asana practice as a means to promote health, it seems that especially older or infirm people could benefit the most from it. Can this marvellous system of asana and pranayama be practised also by persons that are not strong and not 20 years old? Manju: Yes. All people can practise. Old, sick – anyone can practise. Once you start, you will have a benefit. Thomas: Is it legal to modify poses for persons that practise with determination but simply have a certain handicap? Manju: Yes, always modify to help people enjoy postures. The teacher must put this into action. Thomas: When I watched Indian students practise Ashtanga Yoga asana, they seemed to be a lot less concerned about perfection and more “relaxed”. Many Westerners think they “work harder”. Do they miss the point of the practice? Manju: Yes. They (the Westerners) kill themselves. They push too much. This is a confused attitude. Thomas: From what you tell us, it seems that there was a big change in the style of teaching Ashtanga Yoga since the 1970s. What happened to it in the 1980s, 1990s? Manju: It all has to do with supervision. When my father and I came to the USA in 1975, we taught asana, pranayama and chanting to a handful of students. But today, it is hard to give so many people attention. Anyone can put down their carpet. My father gave constant supervision originally but it all became too big. He had to introduce stricter rules. Thomas: My question also referred to another aspect. Do you think that the Western students gradually turned Ashtanga Yoga into a circus art in Mysore, with Western egos trying to top each other, competing, trying to prove themselves and earn respect by, e. g., incorporating postures from the Advanced Series like handstands into the Primary Series? Manju: Yes. The Western students like to change everything and everyone wants to develop their own style. They are going over the top for fame and fortune. Thomas: Have people that started learning Ashtanga Yoga in the 1980s, 1990s experienced sort of a “reduced” version of the original? Manju: Yes. Those that came in after 1985 don´t know what they are doing. Many of those that came in later are brainwashers and ego trippers that love to control others. Thomas: What do you think of Western teachers that say that they (or their respective Western master) are the ones that teach the “real”, “authentic”, “pure” Ashtanga Yoga and put others down? Manju: They are all wrong. Please stay away from those types of characters that put others down. They won´t succeed. Thomas: Is there something else that you as a genuine Indian Ashtanga Yoga master would like to tell us western students? Manju: I don´t call myself a master. I am but a messenger. I try to keep up with what I learnt as a kid. I am trying to get Westerners to understand the method by teaching it in the original way. Quotations, even in extracts, not permissible unless our written approval has been obtained. Many thanks to Tom Hoppel for his support.